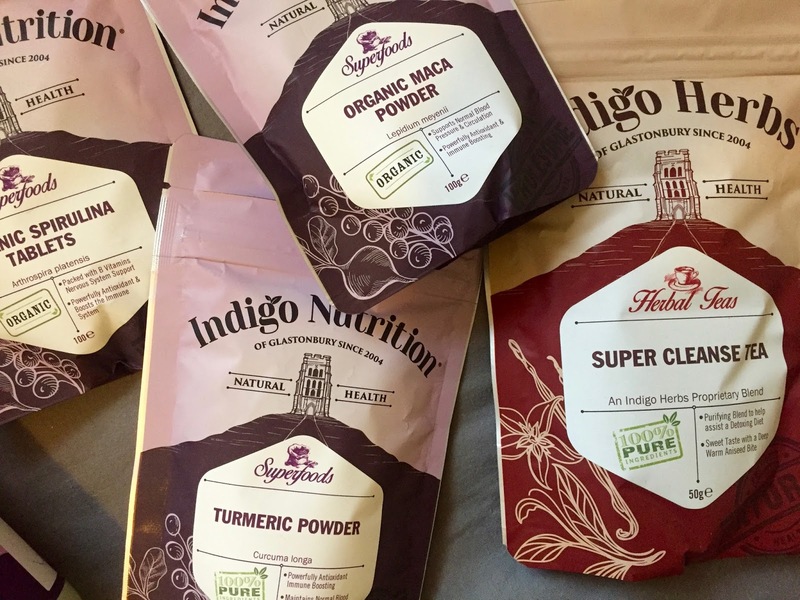 Indigo Herbs* which have been helping me lead a much healthier lifestyle while still enjoying my social life. 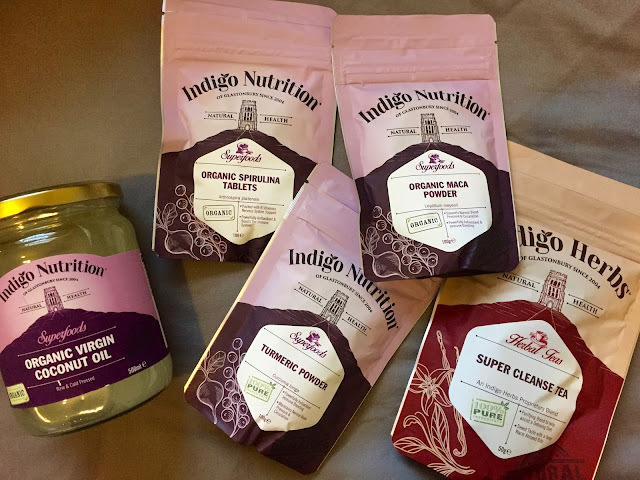 It is so easy to let our health slip at the best of times, but especially when there seems to be so much more going out and drinking in the Summer, so I am here to save the day with some amazing products so you don't need to worry about depriving your body! The first product I decided to try was the Organic Super Cleanse Detox Tea, I am so wary of detox teas, I have always heard bad things about them but decided to give this one a go. I was pleasantly surprised by this one, it was certainly uplifting and I felt so much better after drinking the tea for a few days, particularly because I have been quite unwell recently! It was quite nice to feel cleansed and refreshed afterwards. This loose leaf tea is 100% pure botanical ingredients and includes fennel, liquorice and ginger. It was a big yes from me! Organic Spirulina Tablets were a new product for me, I didn't really know what to expect but when I told my mum what I had received, she was particularly intrigued by these. 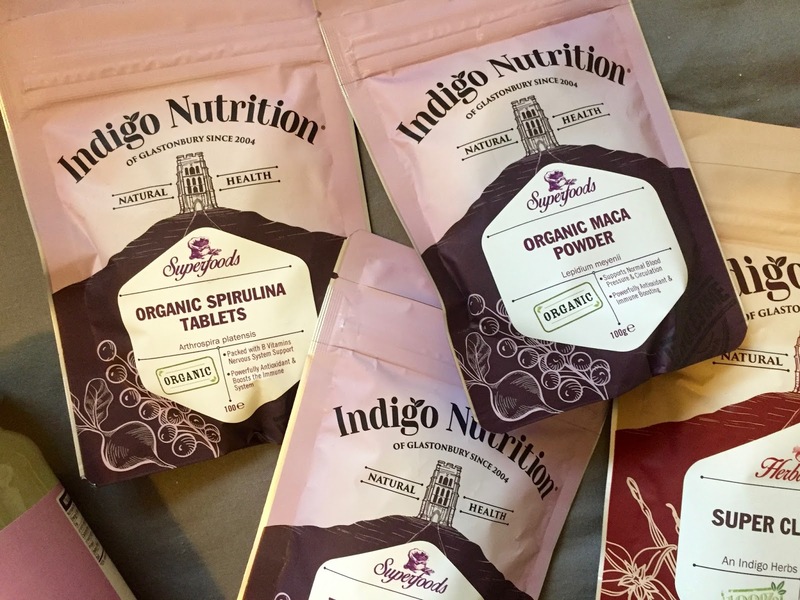 She told me they are great for energy and a great pick-me-up, which of course the information from Indigo Herbs confirmed! It is a high protein, multi vitamin and mineral supplement, packed with anti-oxidants and alkalising vitamin B and detoxifying vitamin E. They are a highly nutritious tablet which will rescue you from the worst hangover! Have you ordered yours yet?! 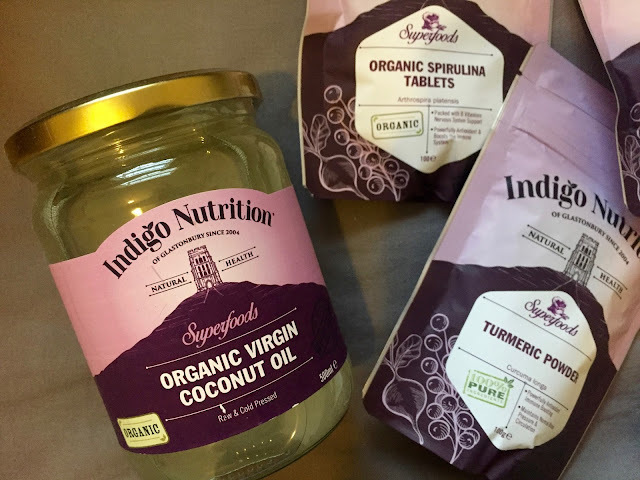 I am a massive fan of Organic Virgin Coconut Oil, I have previously written on the topic and used it in some of my recipes before. I think my favourite thing about Coconut Oil is that it is so versatile, you would instantly think of using it for cooking, but I love that it can be used as part of a beauty routine too or it can be used to make a superfood ball, bar or in a smoothie, which I had personally never thought of but cannot say that it sounds appealing to me! It has extensive health benefits and since it is a fast metabolising fat it makes great brain food! I'm no stranger to Organic Maca Powder but I have not had it in a while, nor used it in the recommended ways by Indigo Herbs. This is a root vegetable, originating in South America and is a renowned energy enhancer and the ultimate Summer superfood! It is perfect to pop into a morning smoothie, always my favourite option, and is great to pop in home-made ice creams, for which I have found plenty new recipes for recently, it adds a great nutritious malty taste. What is great about Maca Powder is that it has a rich, rare blend of vitamins and minerals including calcium, potassium, iron and zinc. This really helps to calm the nervous system. Another new product for me is Turmeric Powder which is apparently the absolute must have product for 2016! It has such a wide range of health benefits making it the best option for anti-bacterial, anti-inflammatory, cleansing and purifying. While it is typically used in curry and rice dishes, it is a great tonic for the body's system and is now the new hipster cuppa; The Golden Latte! Move over Green Tea! It is recommended to mix Turmeric with almond, coconut or cashew milk, add some ginger, coconut oil and coconut sugar, to make you this Summer's alternative caffeine drink. One of my favourite features of Indigo Herbs products are that they are certified organic, quality assured and suitable for vegetarians. Plus they are all super affordable which is always a bonus when I run out of my favourite products!